This book examines how educators internationally can better understand the role of education as a public good designed to nurture peace, tolerance, sustainable livelihoods and human fulfilment. Bringing together empirical and theoretical perspectives, this insightful text develops new understandings of education for sustainable development and global citizenship (ESD/GC) and illustrates how these might impact on educational research, policy and practice. The text recognizes the ESD/GC as pivotal to the universal ambitions of UNESCO’s Sustainable Development Goals, and focuses on the role of teachers and teacher educators in delivering the appropriate educational response to promote equity and sustainability. 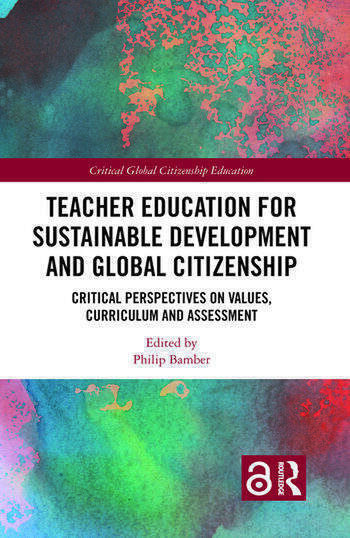 Chapters explore factors including curriculum design, values and assessment in teacher education, and consider how each and every learner can be guaranteed an understanding of their role in promoting a just and sustainable global society. This book will be of great interest to academics, researchers, school leaders, practitioners, policy makers and students in the fields of education, teacher education and sustainability. Chapter 2: How do Teachers Engage with School Values and Ethos? Chapter 14: Rating Education for Sustainable Development in the Early Years: a Necessity or a Challenge? Philip Bamber is associate professor of education at Liverpool Hope University, UK.